Eco saddle-stitched pocket notebook with 13pt soft cover and 32 ivory lined sheets made with 100% recycled material. 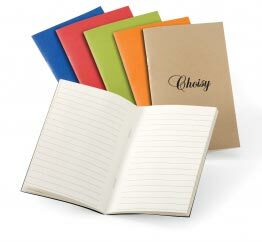 The lined sheets and notebook covers are colored with organic based inks. MADE IN CANADA.